LAST UPDATE: NYPD bomb squad officers are now outside the Time Warner Center. A multiple attack today in US with suspicious explosive packs. Today, the Time Warner Center has been evacuated as a suspicious package got into the mailroom. this is the official tweet of Jeff Zucker, President of CNN who announced to all employees to leave the building. 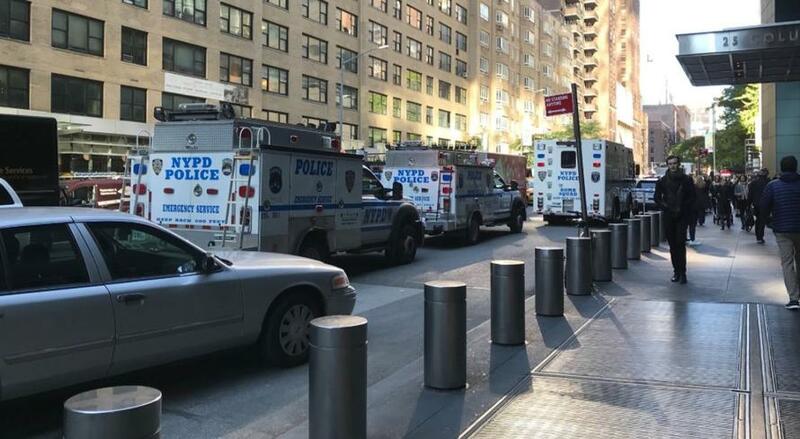 Last Update: NYPD bomb squad officers are now outside the Time Warner Center wearing a blast suit and with a truck with a bomb containment chamber on its back into the building. The NYPD is on scene and any precautions are have been taken. All bureaus around the world are being checked “out of a complete abundance of caution,” he added. Other two suspicious packages were sent to Clintons and Obamas. The Secret Service declared “potential explosive devices” were mailed to the Hillary Clinton’s home in New York and Barack Obama’s home in Washington, DC, earlier this morning. Then another one was discovered in the CNN headquarter. Only two packages intercepted by Secret Service -– one addressed to Clinton at NY and one addressed to Obama at Washington. CNN was initially told there was a package addressed to the White House that was being examined at the offsite processing facility that handles White House mail. And the press secretary of the White house condemns the attack as terroristic and violent in a statement.